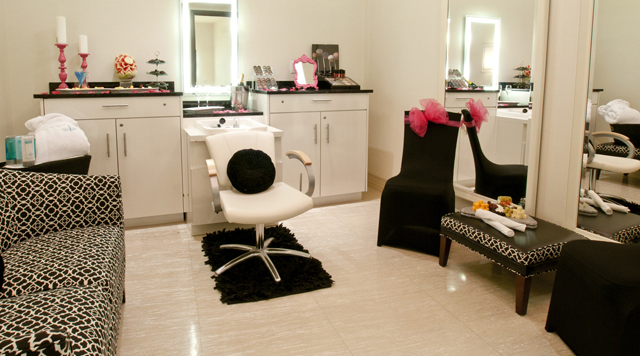 A private makeover room where wonders never end! Perfect for wedding parties or a ladies night out. Enjoy a variety of hair and make-up services to make your day one to remember! Customize a special event in our transformation suite, perfect for bridal parties or any special occasion – or just a fun prelude to your girls’ night out. You’ll enjoy first-class hairstyling and make-up services of spa blu along with food and beverage service.